It has become one of the myths of the Vietnam War that, in contrast to the experience of veterans in earlier wars, returning Vietnam veterans did not get parades celebrating their return, and that this change was due to some combination of hatred for the war or of the veterans themselves. I returned from my year in Vietnam in May of 1970, just after the Kent State massacre and other indicators of a nation bitterly divided because of the war. As I got off the homeward-bound stretch-DC-8 when it stopped for refueling in Japan, I saw a copy of the Pacific issue of Stars and Stripes, the military newspaper, with a front-page photo of the ROTC building at Washington University in St. Louis in flames. This was the United States that we were returning to. As we landed at Travis Air Force Base near San Francisco, a huge cheer went up among the 250 of us on that flight. Most of the guys on board had been silent for the early part of the flight, as if fearing that the myth about veterans at some earlier time being killed as they climbed up the steps to board their flight home might happen to us. The tension level went down after the plane left Vietnamese airspace, but until it landed at Travis, no one was sure we were really going to be home. We boarded buses that took us to the airport for our flights home. No parade----and also no evidence of any antiwar protesters spitting on anyone or otherwise interrupting our return, as another durable myth maintains. Why no parade? It's simple. After earlier wars, soldiers came home on troopships, 8000 at a time, enough for a great parade. We flew home from Vietnam, 200-250 at a time, not enough for a parade, and no one on our plane would have wanted to have one anyhow, or anything else that would delay our long-overdue reunion with loved ones. I came home to St. Louis, then flew to Minnesota to meet my wife, who was teaching third grade in the small town of Aitkin. 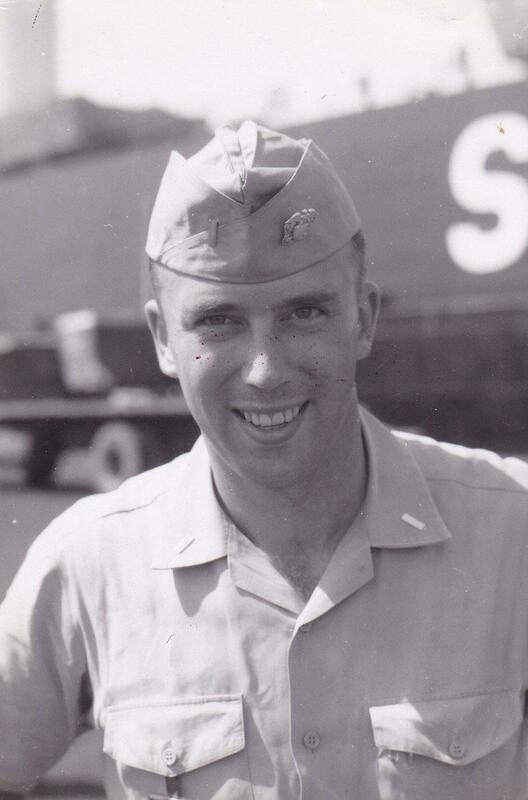 We had been married less than a year when I got my orders to Vietnam. 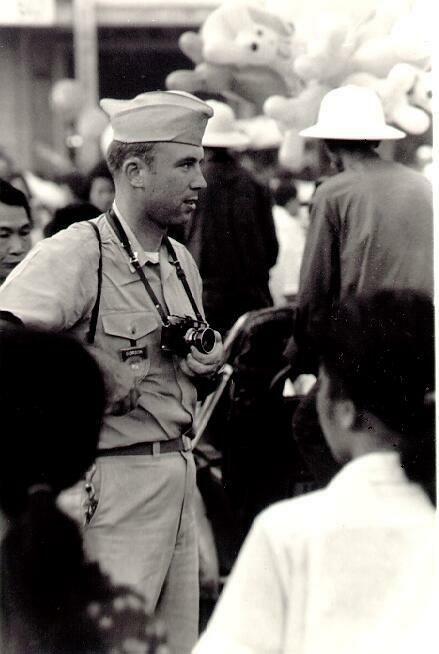 During that year, I had sent hundreds of photographs of Vietnam home with my daily letters, wishing to give my family and friends as well as my wife's young students a view of Vietnam not found in the daily TV news. (I was not officially a military photographer, but took over 3000 color slides and that many black-and-white photographs during my year in Vietnam, only a few showing any direct evidence of the war going on throughout the country.) 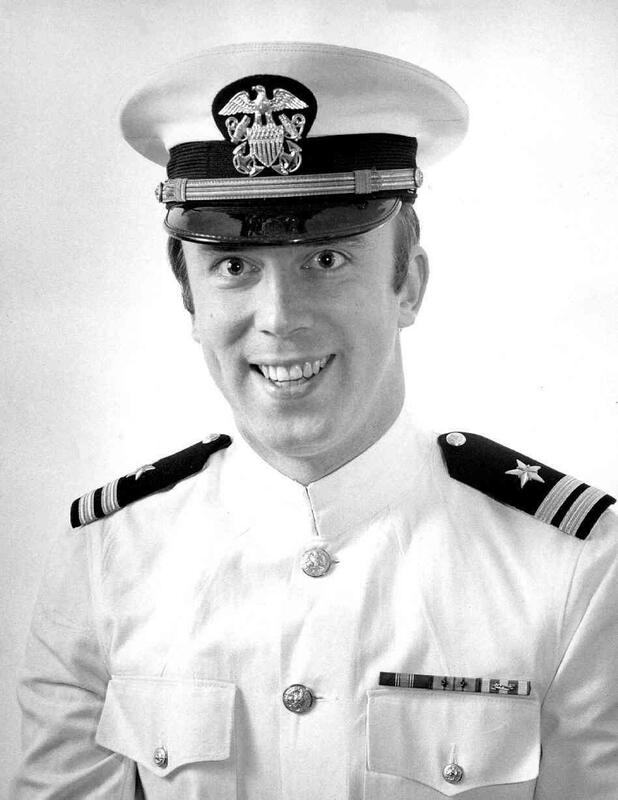 I was told that I should appear in my wife's class in my naval officer's dress-white uniform, and I got my personal parade as the students marched around the room carrying the American flag. It was their idea, and it was a great welcome home for this veteran.